After unveiling an official report into the economic impact of UK film distribution last week, FDA president Lord Puttnam sat down with Screen to discuss his current views on the European Commission’s ongoing push for an EU-wide digital single market (DSM). The week prior, Lord Puttnam had lunch with EC vice-president Andrus Ansip, who is heading the DSM project team, in Brussels - and came away heartened rather than discouraged. “I think the unanimity of the industry on the issue of geo-blocking has rather impressed him, he certainly understands that the current business model for European film is heavily dependent on territoriality and that at the very minimum a five, maybe even a 10-year transition period to a new business model would be necessary,” said Puttnam. What shape a digital single market will take is being surveyed by Ansip and his team, in part through public consultation. As Lord Puttnam suggests, the EC is committed to its fruition, which implies substantial future changes to the European film distribution landscape. “My personal view is that the European distribution sector is overly fragmented, and that there needs to be a degree of consolidation,” he said. “I’m certain that will inevitably occur. I’m hoping we’ll see some significant mergers happening among European distributors. The underlying argument for consolidation is considerable ­– many of the very best of these are essentially single-generation lifestyle businesses. With several FDA members on hand, Puttnam was able to summon Trevor Green, joint managing director of Entertainment Film Distributors, for his opinion on the question - and whether legislative intervention (for instance the change in the law in 2003 which allowed producers to own copyright) would be required to deliver an enticement for independent European distributors to consider such mergers. In Lord Puttnam’s view – “and where I find myself very much in agreement with Mr. Ansip” – the status quo can’t carry on forever, or even the next decade. 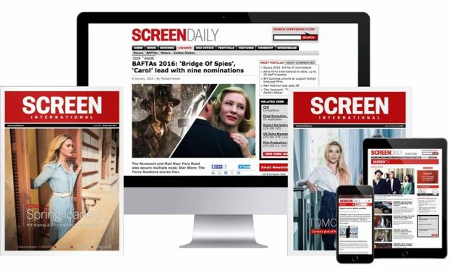 “That being the case, we as an industry have an obligation to revisit many of our business assumptions and check that, in a fast-moving digital environment, they are not just sustainable but, to the greatest extent possible, future-proof,” he told Screen. In his speech unveiling the economic report, Puttnam noted that, while UK film distribution is a robust sector, it suffers from acute market polarisation. Of the 549 titles released in UK cinemas so far in 2015, the top 20 claimed more than 60% of the box office - leaving 529 titles to compete for the remaining third. That’s an unsustainable level of congestion, noted Puttnam. “In Brussels, vice-president Ansip and I discussed exactly this: how do you go forward with a plural European funding mechanism when you’re fighting for only 30% or maybe even 20% of the entire European market?” asked Puttnam. While Puttnam is reassured that the removal of geo-blocking is not going to happen in the foreseeable future, nonetheless, he said, “we can’t get complacent”.